Despite the added risks, the Federal Aviation Administration did not conduct another safety review of the system, since the changes didn’t affect what it considered a critical phase of flight, namely high-speed maneuvers. The FAA is supposed to be the gold standard in global aviation regulation, with the toughest and most stringent rules for certifying planes. But the March crash in Ethiopia and an earlier one in Indonesia have broadly raised concerns about the agency’s ability to push back against the industry or root out flaws. Although officials were aware of the changes, none were fully examined by the FAA, according to three people with knowledge of the process. A new review would have required FAA officials to take a closer look at the system’s effect on the overall safety of the plane, as well as to consider the potential consequences of a malfunction. Instead, the agency relied on an earlier assessment of the system, which was less powerful and activated in more limited circumstances. The FAA defended its certification process, saying it has consistently produced safe aircraft. An FAA spokesman said agency employees had collectively spent more than 110,000 hours reviewing the Max, including 297 test flights. It was around that design stage that the FAA reviewed the initial MCAS design. The planes hadn’t yet gone through their first test flights. At higher speeds, flight controls are more sensitive and less movement is needed to steer the plane. Consider the effect of turning a car’s steering wheel at 70 mph versus 30 mph. Speed was a defining characteristic for the FAA. The agency’s rules require an additional review only if the changes affect how the plane operates in riskier phases of flight: at high speeds and altitudes. Because the changes to the anti-stall system affected how it operated at lower speeds and altitudes, FAA employees didn’t need to take a closer look at them. The missed risks, by the FAA and Boeing, flowed to other decisions. A deep explanation of the system wasn’t included in the plane manual. The FAA didn’t require training on it. Even Boeing test pilots weren’t fully briefed on MCAS. 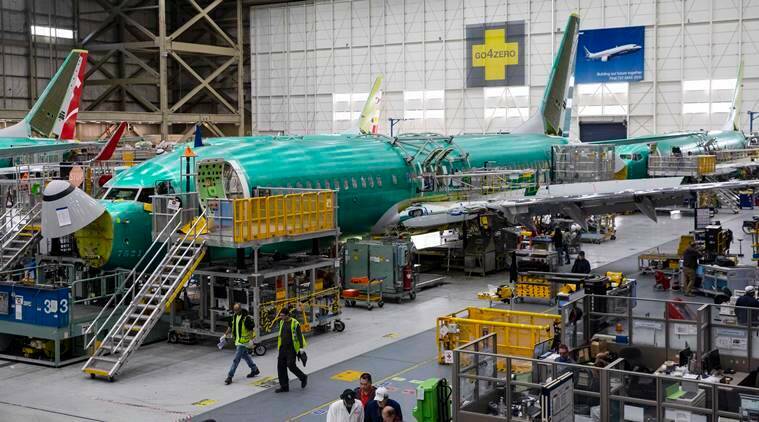 Updates to the software by Boeing, which will require FAA approval, will address some of the concerns with the anti-stall system. The changes will limit the system to engaging just once in most cases. And they will prevent MCAS from pushing the plane’s nose down more than a pilot could counteract by pulling up on the controls. Boeing had hoped to deliver the software fix to the FAA by now, but it was delayed by several weeks. As a result, the grounding of the jet is expected to drag on. Southwest Airlines has changed its schedule through early August and American Airlines cancellations stretch into June.